We look forward to it being shown far and wide." "This film is a *must see* for everyone in Lethbridge and area. 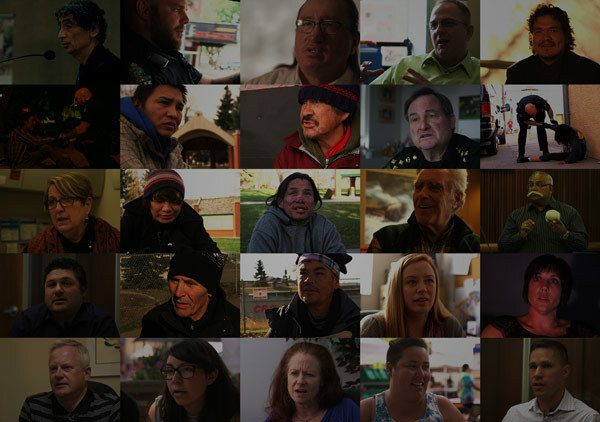 “Where is Home?” is a documentary film focused on homelessness and the complex social issues facing the city of Lethbridge, Alberta and many other communities across Canada. The film presents unique perspectives from many individuals, including members of the homeless population, municipal government, law enforcement, service providers, doctors, educators, health professionals, as well as members of the local business community and the general public. Through these perspectives, and supported by multi-perspective historical information and expert lectures, the film presents a thoughtful, respectful look at history, the reality of the current situation, and hope for what can be done to make things better for everyone in the future. A Public Performance Rights release is required for all public or educational screenings. Follow the film on Social Media for updates, exclusive clips and release information.